This area has been proposed for protection and as a potential NATURA 2000 site but has not yet been designated under TCc Laws. 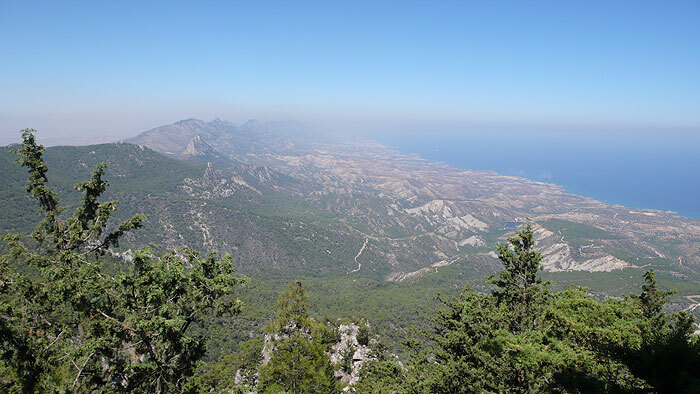 The Kyrenia mountain range is a long, narrow chain of mountains that runs as an unbroken ridge for approximately 160 km (100 miles) along the north coast of the island. The centre of the ridge is only 4 - 6 km from the northern coast, and above 400m is nowhere wider than 3 km. Rising from the coast a short distance inland in the West, the range flanks a narrow coastal plain and reaches a maximum height of 1,024 m (3,360 feet) at Selvili Tepe (Kyparissovouno), ending in low hills at the tip of Cape Zafer or Cape Andreas in the East. The mountains are an Alpine fold mountain system formed from the oldest rocks on the island. Consisting primarily of hard compact limestone, some marble and of rare occurrences of pillow lava formations, the beds have been tilted so that they now lie vertically. An alternate name for the the range is the five fingers mountains, (Beşparmak in Turkish or Pentadactylos in Greek). 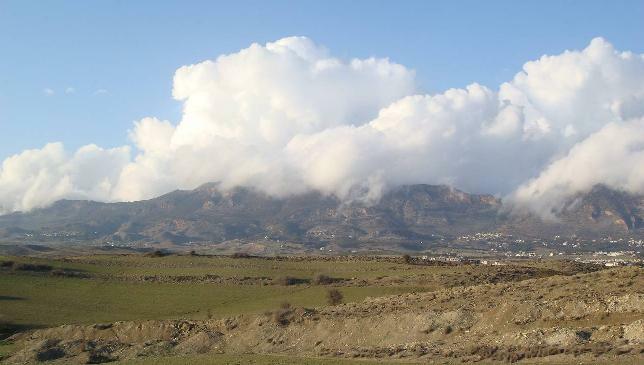 The Kyrenia mountains are a series of sedimentary formations from the permian period (248 - 290 million years ago) to the middle miocene period (11.2 - 16.4 million years ago) pushed up by a collision of the African and Eurasian plates. Although neither as high or as extensive as the volcanic Troodos range to the south, the steep slopes and rugged, rocky aspects of the Kyrenia range make it considerably more spectaclar and dramatic. 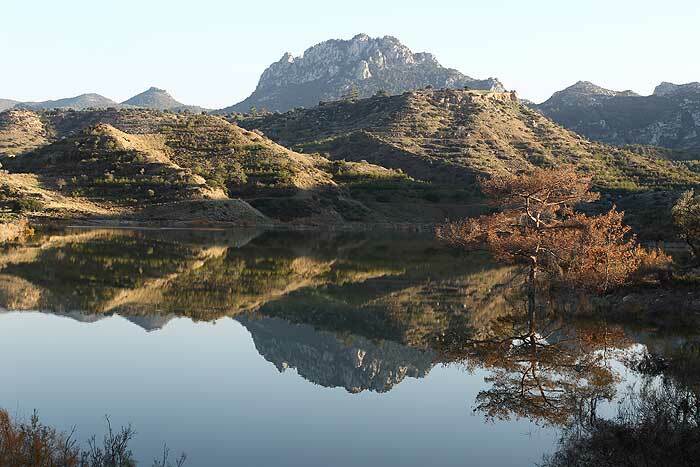 Studies of the habitats and of the flora in the area have shown that there are 19 endemic plant species (out of 121 endemic plant species found in Cyprus), that are only found on and around the Kyrenia Mountains (Yıldız, 2006). The proximity of the mountains to the sea made them desirable locations for watch towers and castles which could command an extensive view overlooking the northern coast as well as the central plain and three well preserved Crusader period castles remain, located at Kantara in the East, Buffavento in the central zone and St Hillarion sitting above the harbour and fortress at the coastal town of Kyrenia (Girne) itself. These castles generally date from the 10th through the 15th centuries, primarily constructed by the Byzantines and Lusignans. The castles of St. Hilarion, Buffavento, and Kantara sit astride peaks and were of strategic importance during much of Cyprus history during the Middle Ages and are open and accesible to visitors to the area. Survey work within the proposed protected area has shown that large areas of unique and important habitats exist within the mountain range and management proposals have been drawn up to support keeping these areas in, or bringing them back to , favourable conservation status. Other projects are also running within the proposed SEPA area, such as the EU funded Oaks for the Future Project, which aims to map the location of all known locations of Aleppo Oaks (Quercus infectoria) and to support their population by cultivation and replanting.